It’s interesting, isn’t it, how things come together? Do you find sometimes that a particular thing you did a long time ago comes back around in a spectacularly unsuspecting way? At work, we call it ‘planting seeds’, an odd comment or email dropped here or there that’s designed to give somebody an idea, an idea that they might just build on, because it’s their idea, and everybody knows that their own ideas are the best ones, and the ones most likely to become a reality. Right? There’s often a calculation involved in planting a seed, one that seeks to engineer a certain outcome, but other times, it’s just luck, just the way things unfold, the way they develop and grow. Way back in March 2012, I wrote about a recipe for a Mexican-style chorizo. Mexican chorizo is very different from the Spanish sausages we’re more familiar with … for a start, it isn’t a sausage, just a heavily spiced pork meat paste that’s used as a seasoning or base ingredient in many dishes. It’s rich with paprika and chilli, coriander and thyme, and it’s the sort of thing that’s supposed to just sit in the fridge until it’s needed to add a kick to something or other. I found it particularly good fried in small pieces and stuffed into an omelette. I made Mexican chorizo once, and despite it being a huge success, it failed to become a fridge staple, in the way that some good things just don’t. 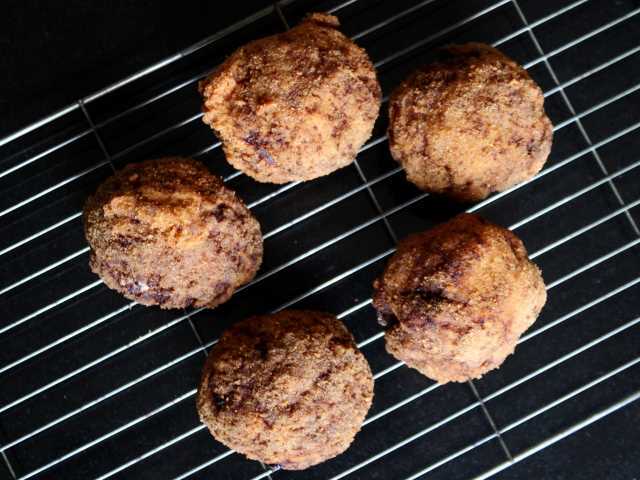 A few weeks ago, I was stumbling around some of the food blogs I habitually read, and found a post on The Good Stuff about Scotch eggs. Leigh has a way with food, and a particular way with food that matches beer, which the humble Scotch egg most certainly does. One of the methods Leigh wrote about was a chorizo version, the normal savoury seasoned pork skin replaced with something altogether more fiery. I immediately thought of the fridge chorizo I’d made months before, and that little seed sprouted into a whole new idea. So, here is the reprise of the Mexican fridge chorizo, a recipe that suddenly feels like its found a home. The original chorizo recipe is perfect for this, so follow it in terms of ingredients and general preparation. 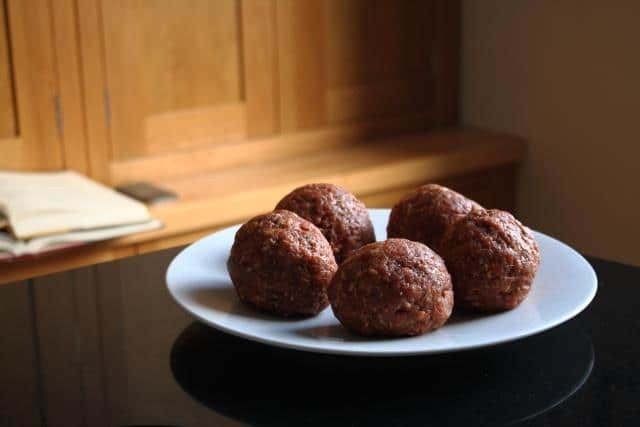 The one alteration I made was in the fineness of the finished chorizo – for the normal version, it needs a bit of texture, a chunkier finish, but for wrapping around an egg, it should be very finely ground, more like sausage meat. Use a meat grinder, or pulse in a food processor until the meat is at that very sausage meat like consistency, then just follow the recipe as it stands for seasoning, and make sure it matures properly before using it. Divide the chorizo into balls about a quarter larger than the eggs you’re using. That extra bit just provides a little play, and makes the assembly process easier. Flatten out each ball into a disc, and carefully wrap it around a shelled hard-boiled egg. There’s a knack to this, and slightly wet hands help. Seal the meat around the egg, and make sure there aren’t any gaps or holes. Roll the eggs in beaten egg, then in breadcrumbs, and then deep-fry them at 160c for about eight minutes, nudging them over every minute or so. Slicing into one of these eggs is both familiar and startling. It’s a Scotch egg, just like every other Scotch egg you’ve ever bought, but the red tinge of the meat betrays the punch this particular version hides. It has an almighty kick, but it’s a short-lived assault that’s countered by the creamy coolness of the egg. Crunch, kick, mellow. I’ll leave the real beer pairing to Leigh, but beer it probably should be, something to quell the rage.